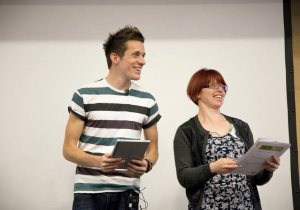 We’re happy to announce that we will be running the Games Development Workshop, with Liz Rice from TankTop TV, at two upcoming TeenTech Events in May. We will be running the Games Development Workshop in the Insight Zone, talking about games and apps, and then workshopping their ideas. TeenTech runs lively one-day events to help young teenagers see the wide range of career possibilities in Science, Engineering and Technology. TeenTech is an award winning, industry-led initiative, founded in 2008 by Maggie Philbin and Chris Dodson to help the “X Factor” generation understand their true potential and the real opportunities available in the contemporary STEM workplace. At each TeenTech event, 300 pupils from 30 different schools benefit from hands-on exhibits and challenges run by leading organisations. 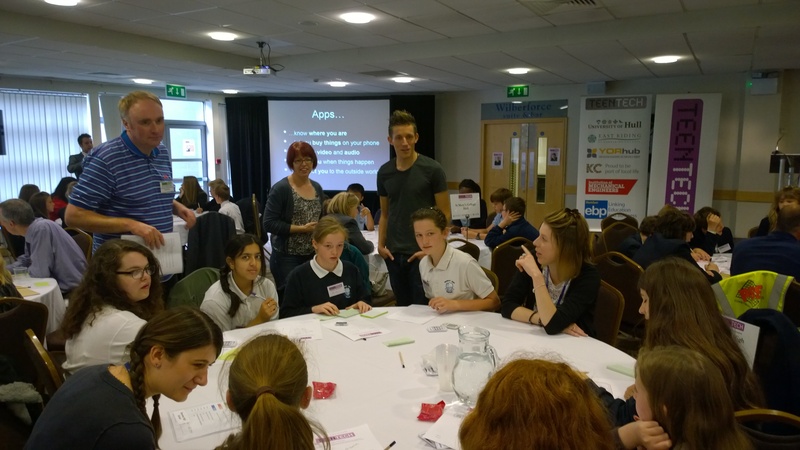 TeenTech works collaboratively with Education Business Partnerships, companies, Universities and business organisations to create these very special experiences for young people. Ali Maggs, from Chaos Created, and Liz Rice, from TankTop TV, run the Innovation Zone at these events. We give a presentation about app and games development, sharing our experience, insights, and technical knowledge, and then workshop the pupils’ own app and games ideas, developing their ideas in small groups during the session.